brandon took these photos easily a million years ago (november! ), right now i am watching when harry met sally (research! ), and earlier today i went into target for some play dough and milk, happened upon a rather alarming aisle of easter candy (where is the decency? ), a pack of temporary pirate tattoos, and a pink floyd t-shirt. all of which came home with me for less than twenty dollars. it is in that spirit that i say unto you: here it is! it's an outfit post. i think we hit at least two of the three outfit post poses in the holy trinity of outfit post poses. I am digging that sweater in a major way. Also, Huck's hat! Oh that Huck. Gets me every time. You two are the perfect team! when harry met sally is my heart movie and and aaand i have worn my pink floyd from target tee about 99 times since purchasing! all this to say, i think you must be on a good good path! ;) oh and adorable you and huck bring twinnies! 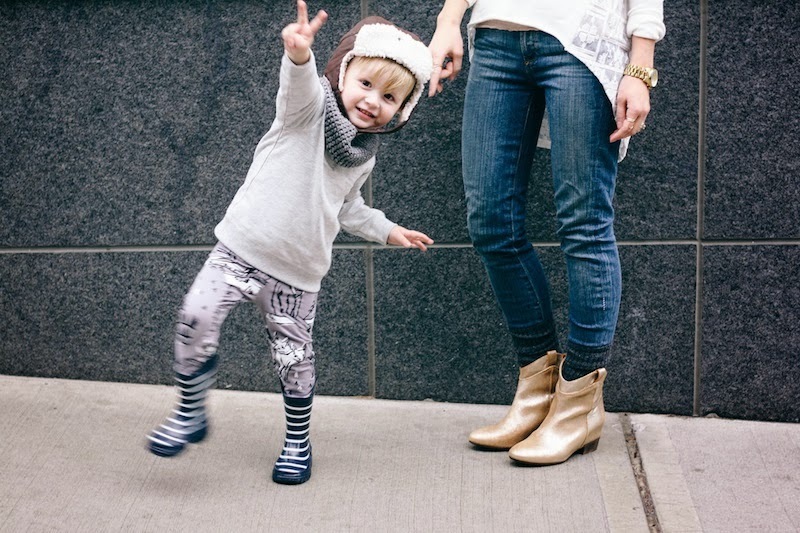 The boots are so fun! :) And a pink floyd tee at target? Hm. Sounds like I will need to go investigate! I love that sweater and the watch! love the sweater! i miss target! sigh. love these posts. Hey Natalie - can you point out your sweater (or one similar) on the website... I need it! Those boots are amazing! Almost as amazing as Huck's pose! i love this blog so much. i was JUST jamming out to wilson phillips the other day. too bad we live so many states apart (regardless of if you're in oregon or NYC). i think we'd be good pals, you and i. 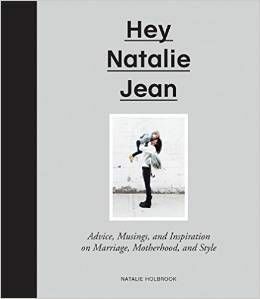 Hey Natalie, I love your blog and style. I was wondering how tall you are? I remember you said you are petite and I feel like if you are wearing pants the pants will probably fit me (as I am also petite). Thanks! this really might be my favorite outfit post yet. 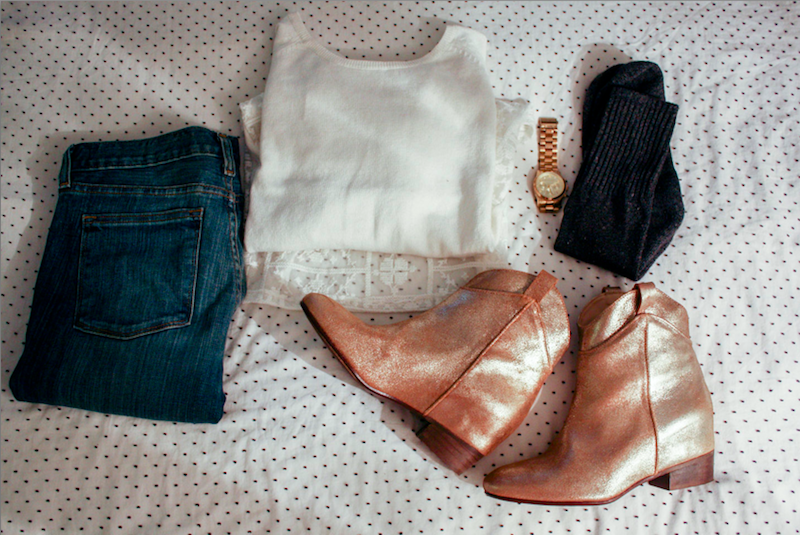 dying over those boots! and huck is precious as always! I love that sweater! Very cute. I cannot even handle Huck's poses. What a legend. This outfit is perfect, your 'Get Me Dressed' posts are serving as my main inspiration for the upcoming Autumn here in Australia, I've never been so excited for cooler weather after the awful summer we've had. Pretty sure Huck is serving as some inspiration for me too...those outfits are killer. Oh my God, I absolutely adore the socks with this ensemble. Beautiful. Little late on this post, but I am in love with the zara boots!